Stephen King is an undisputed master of horror. With book sales exceeding 350 million copies, his written words have been adapted for film, television, comics, and the stage more times that I care to count. After having more than 50 novels and 200 short stories published over the last four decades, King’s impact on popular culture is unrivaled. 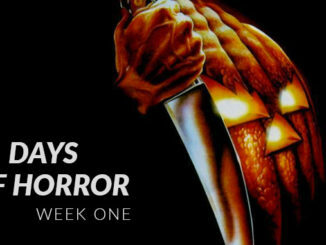 We’re huge fans of not only his stories but the visual media that they inspire, so for this list we’re going to be looking at our ten favorite horror films adapted from Stephen King. 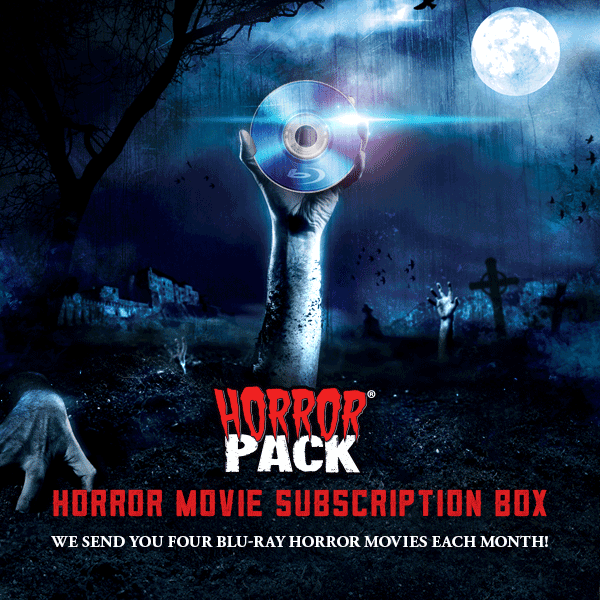 We’ll be focusing specifically on horror films so TV specials like IT and Salem’s Lot as well as dramas like The Shawshank Redemption and Stand by Me will be excluded from this list. 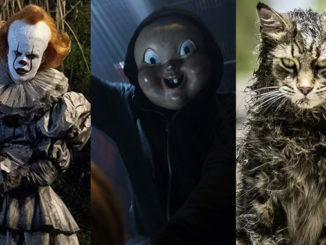 And with highly anticipated IT and Gerald’s Game adaptations scheduled for release this year, this list is subject to change. The first of more than 100 film and television adaptations of Stephen King’s written works, Carrie was adapted from the 1974 novel of the same name. Starring Sissy Spacek and Piper Laurie, Carrie tells the story of a high school student bullied by classmates and abused by her mother who discovers that she is telekinetic. Directed by Brian De Palma who would go on to iconic crime dramas Scarface, The Untouchables, and Carlito’s Way, the film received two Academy Award nominations, and launched the careers of several young actors including John Travolta. 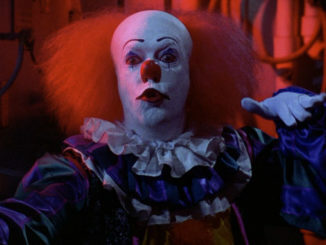 Although the novel has inspired a number of other adaptations including a 1988 Broadway musical, a 2002 TV movie, and another feature film in 2013, the 1976 original is considered by many to be a true horror classic. Inarguably the best-known film on this list, Stanley Kubrick’s 1980 release The Shining was adapted from King’s 1977 best-selling novel. The films follows Jack Torrance (Jack Nicholson) as the off-season caretaker of the secluded Overlook Hotel as he is driven to madness by supernatural forces from the hotel’s horrific past. Over the years, King has expressed his disappointment with the film, specifically in the way that it handles some of the book’s themes. He wasn’t alone initially as the film was released to mixed reviews and a pair of Razzie nominations for Worst Director and Worst Actress. Like a fine wine, the film only got better with age and The Shining is now widely regarded as one of the greatest horror films ever made. Although Stephen King has written almost 200 works of short fiction throughout his career, 1982’s Creepshow has the distinction of being the only anthology film on our list. Directed by the “Godfather of the Dead”, George A. Romero, Creepshow consists of five shorts. While “Weeds” and “The Crate”, were adapted from stories first published in Cavalier and Gallery magazines respectively, the other three were written specifically for the film giving King his first screenwriting credit. Creepshow marks another first for King as he makes his acting debut in “Weeds” as Jordy Verrill, a hick farmer who unwittingly covers his entire body in alien grass after disturbing a meteorite. 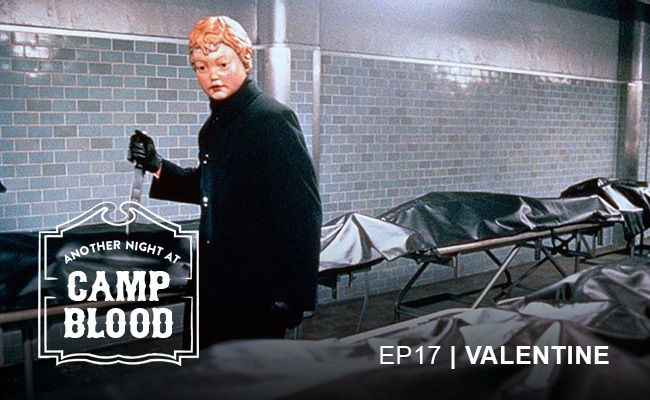 Intentionally over the top, the film has earned a cult status among fans and pays homage to the horror comics of the 1950s complete with comic-like effects from award-winning special effects creator Tom Savini. In 1983 the master of visceral horror David Cronenberg (Scanners, Videodrome, The Fly) adapted King’s 1979 science-fiction novel The Dead Zone for the big screen. The film stars Christopher Walken as a schoolteacher who awakens from a coma after five years to discover that he has the psychic ability of precognition. Co-starring Martin Sheen as a power-hungry politician, the film never quite hits outright horror, but is still an effectively unsettling story. Christopher Walken shows an admirable commitment to his character’s quirks and knowing that his “psychic flinches” were caused by Cronenberg firing a .357 Magnum off camera really brings it all together. By 1983, Stephen King had reached such popularity that a film adaptation of Christine went into production before the book was even published. Directed by the legendary John Carpenter, Christine follows Arnie Cunningham, played by Keith Gordon, as he falls under the influence of a possessed and violent Plymouth Fury. Though considered a misfire after its initial release by King and Carpenter fans alike, the film has become a cult classic and has garnered positive comments in regards to Christine’s strong personality, the believable high-school atmosphere and the obvious love of ‘50s teenage culture. Based on a 1977 short story originally published in Penthouse, 1984’s Children of the Corn has the honor of being the only film on our list to spawn a full-blown franchise. The story centers on a rural Nebraskan town where a malevolent entity has convinced the children to murder the adults. The film stars Peter Horton and Linda Hamilton as a couple who end up in the wrong place at the wrong time on their way across country. The genuine creepiness of the children combined with Horton’s general lack of fear or even interest in their plans cements this film as a classic. Though King himself had written an original draft of the screenplay, it was disregarded for a more violent narrative. Since 1992, the franchise has released eight sequels to the original film, most of which have been direct-to-video. There is a ninth sequel set for release this year. Adapted from the 1983 novel of the same name, 1989’s Pet Sematary marks another screenwriting credit for King. The film tells the story of the Creed family and a mysterious Pet Cemetery with the power of resurrection near their home. After his son is killed by a speeding truck, Louis Creed buries the boy on the hill with the hope of reviving him. King was initially reluctant to even publish the novel as he felt that it was too dark and unenjoyable, and he declined several offers for a film adaptation. The rights were sold to George A. Romero in 1984, but he eventually backed out of the production. Pet Sematary is a genuinely creepy and unsettling film due in part to King’s insistence that his screenplay be followed rigorously. King has even been quoted as saying that Pet Sematary is the only novel he wrote that really scared him. Second only to The Shining in terms of critical acclaim, Misery has the distinction of being the only Oscar-winning (Kathy Bates, Best Actress) Stephen King adaptation to date. Adapted from the 1987 novel, Misery director Rob Reiner also directed Stand by Me based on King’s 1982 novella, “The Body”. With commanding performances from Kathy Bates and James Caan, Misery shows us what happens when a psychotic fan holds her favorite author captive and forces him to write her stories against his will. With several sequences as disturbing as they are iconic, Misery consistently finds itself at the top of “best of” lists everywhere. From Misery, we’re going to jump 17 years to 2007’s “haunted hotel” film, 1408. Adapted from a 1999 short story first published in 2002’s “Everything’s Eventual”, 1408 follows paranormal author Mike Enslin, played by John Cusack, as he investigates the allegedly haunted room 1408 in a New York City hotel. With a little help from costar Samuel L. Jackson, Cusack does an incredible job carrying the (mostly) single setting, single character film. In an effort to replicate King’s ambiguous ending, along with the theatrical release, three alternate endings were shot and can be found on various releases of the film. The last film on our list also marks the longest gap between original publication date and the release of the adaptation. Directed by Frank Darabont who had previously adapted King’s The Shawshank Redemption and The Green Mile, 2007’s The Mist is based on the 1980 novella of the same name. The film brings us into a small town in Maine where an unnatural mist filled with otherworldly monsters traps a groups of strangers in a supermarket. Though originally released in color, Darabont has admitted that he prefers the black and white cut made available on blu-ray in 2008. Exploring what ordinary people are capable of doing under extraordinary circumstances, the ending of the film was changed with King’s consent giving The Mist one of the most devastating final scenes in cinema history. What do you think of our list? 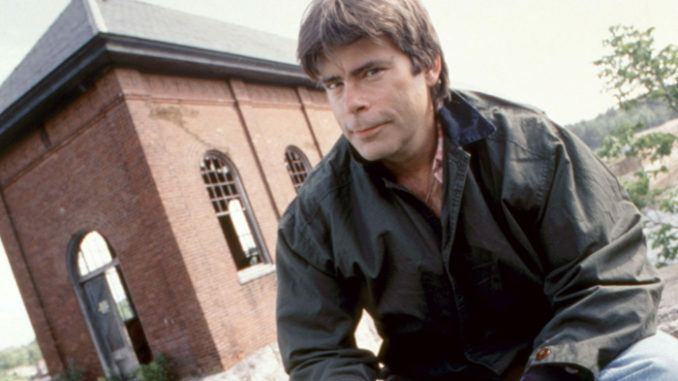 Did we miss your favorite Stephen King adaptation? Let us know in the comments! Great list! I also liked Secret Window and Silver Bullet; do those count? Thanks! Secret Window almost made the cut – I do really like that movie. Haven’t seen Silver Bullet yet, but it’s on the list now! No Shawshank Redemption or Stand By Me, damn haha. I did however enjoyed, Carrie, Dead Zone,Misery,Christine, Misery,1408, and The Mist.